Ultrahigh vacuum tip-enhanced Raman spectroscopy (UHV-TERS) is used to investigate adsorption of molecular oxygen (O2) with cobalt (II) phthalocyanine (CoPc) supported on Ag(111) single crystal surfaces, which is the initial step for the oxygen reduction reaction (ORR) using metal Pc catalysts. Two adsorption configurations are primarily observed, assigned as O2/CoPc/Ag(111) and O/CoPc/Ag(111) based on scanning tunneling microscopy (STM) imaging, TERS, isotopologue substitution, and density functional theory (DFT) calculations. Distinct vibrational features are observed for different adsorption configurations such as the 18O-18O stretching frequency at 1151 cm-1 for O2/CoPc/Ag(111), and Co-16O and Co-18O vibrational frequencies at 661 cm-1 and 623 cm-1, respectively, for O/CoPc/Ag(111). DFT calculations show vibrational mode coupling of O-O and Co-O vibrations to the Pc ring, resulting in different symmetries of oxygen-related normal modes. This study establishes UHV-TERS as a chemically sensitive tool for probing catalytic systems at the molecular-scale. BIO: Duc A. Nguyen obtained his B.S. in Physical Chemistry from Vietnam National University, Hanoi, Vietnam in 2011. In the same year, he moved to University of Illinois at Urbana-Champaign, Illinois, USA to pursue a Ph.D. in Physical Chemistry under supervision of Prof. Martin Gruebele and Prof. Joseph Lyding. He completed his Ph.D. in 2016 and moved to Northwestern University, Illinois, USA in 2017 for a postdoctoral study with Prof. Richard P. Van Duyne. 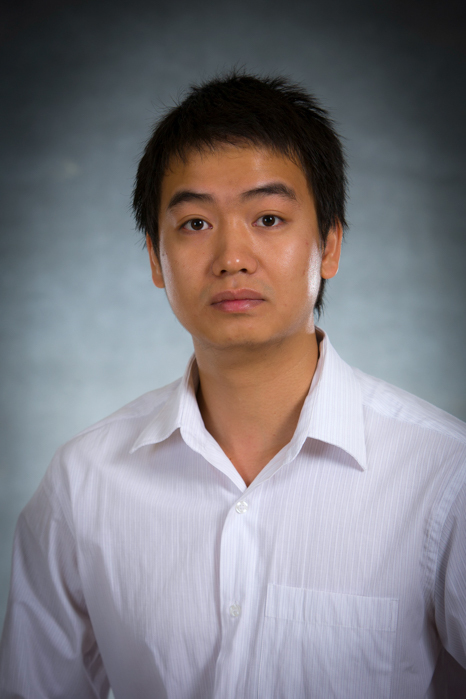 His research interests include optical scanning tunneling microscopy, single-molecule absorption, tip-enhanced Raman spectroscopy and surface glass dynamics."